Since 1922, the United Way of Elkhart County has been creating long-lasting changes by addressing the underlying causes of problems. We don?t just address the symptoms of a problem. We go deeper to get at the underlying causes. To us Living United means being a part of the change. It takes everyone in the community working together to create a brighter future. Together, we can accomplish more than any single group can on its own. 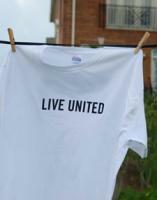 When we LIVE UNITED Elkhart County does more.